Over Christmas we took a drive to visit the Boardwalk Plaza Hotel in Rehoboth and take advantage of their two-night Cozy Winter Weekend package. 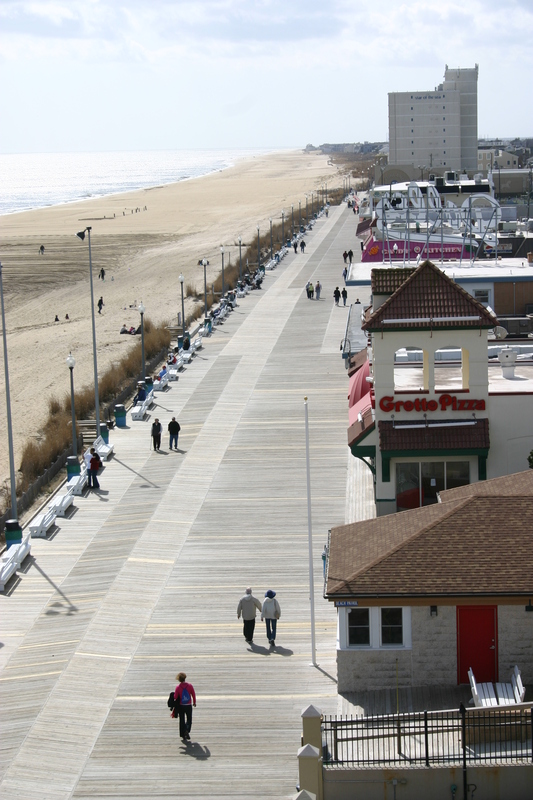 Although it isn’t summer, the Boardwalk Plaza and Rehoboth Beach have a lot to offer in the winter months. If you are lucky, the beach will get a push of warm air to create a respite from the cold. If there is no wind, a walk on the beach is very pleasant and certainly uncrowded. Although a lot of the stores along the boardwalk close for the winter, there are still enough businesses and restaurants open to make for a pleasant and uncrowded experience. During the winter months and early spring, the town covers the parking meters which allow for ample free parking which helps facilitate lengthy dining and unhurried shopping. 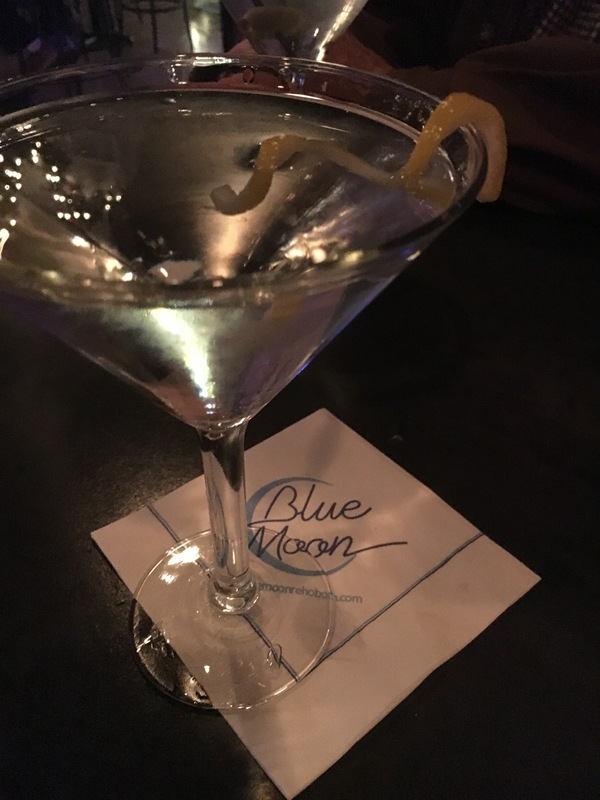 For Christmas Eve we first hit the Blue Moon for cocktails. This is one of my traveling companion’s favorite places, by the way. They were very busy for dinner, so we joined the locals at the bar. Here we met a group of fun people who were celebrating the holiday. The conversation was light and easy about year-round life at a beach resort. I guess that I should say, that what used to be a summer get away, has now become a permanent residence for many. As hunger began to build, we decided to make our way to the Summer House for dinner. When I was younger, and all the D.C. and northern Virginians would head for the beach on summer weekends, the Summer House was a popular destination then as well as now…40 years later. It was packed on Christmas Eve, but we were lucky enough to secure two seats at the bar. While reminiscing with the bartender, we ordered dinner. Even though the restaurant was very busy, we received our meals in a timely manner and enjoyed the reverie with the other patrons. From the above, you can see that this sounds like an evening at the height of summer. As we made our way back to the Plaza, the cold air reminded us that it was, indeed, not summer. Upon entering the beautiful lobby of the Plaza, we were greeted by Emro, the Plaza’s celebrity Sun Conure Parrot. Emro is a hand raised parrot that came from a local bird farm where they rescue and hand raise babies. Hand raised birds are more human friendly which fits right into the Victorian theme at the Plaza. 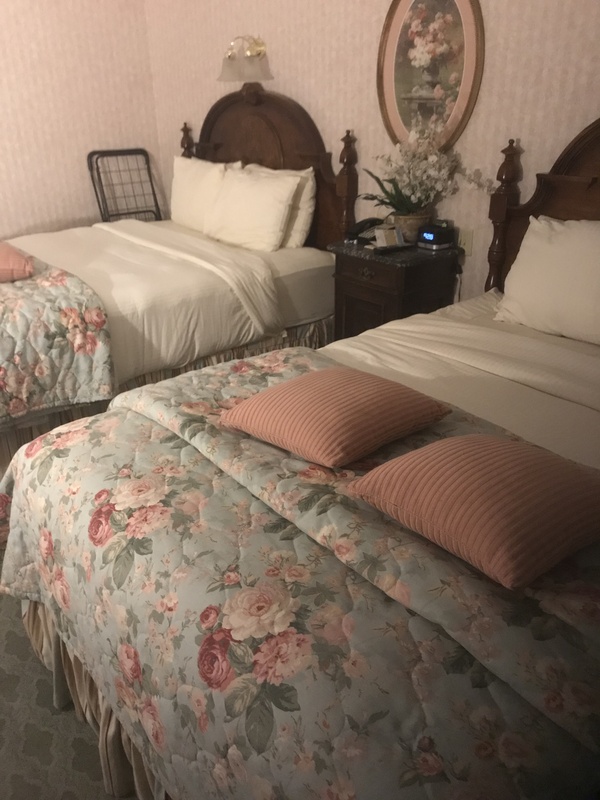 When the hotel opened in May of 1991, the owners concerned themselves with providing a level of service that matched the award-winning Victorian design and décor. In 1992, the Boardwalk Plaza Hotel received the prestigious Four Diamonds Award from the American Automobile Association, which signifies to the traveling public that the staff of the hotel and restaurant provide a level of service that exceeds a guest’s expectations. The hotel has won this award consecutively each year through 2018. The hotel and restaurant celebrated 28 years of business in 2018. This is an exceptional hotel. Think of the Grand Hotel in the movie Somewhere in Time and you will get a glimpse of the grandeur. Although located right on the beach, great care is taken to ensure the proper experience. The hotel is decorated throughout in period furniture, furnishings and feel. The hallways have plush carpets appointed with button and tufted chairs and beautiful antiques. For a certain amount serenity, the fourth floor is reserved for adults only and is accessible only for those with key cards for the elevators fourth floor. We recommend spending the extra dollars. As one would expect, the rooms are exceptional with large comfortable beds and a sitting room with a balcony that looks out over the boardwalk and the ocean. All along the boardwalk the hotel provides their guests with outdoor dining and cocktails. At the north end there is a small hot tub which is a part of the huge grotto spa pool located in the atrium of the hotel. The grotto is open 24/7 and off limits to minors after 8pm. This is another one of our favorite things about this place. Being able to relax in the spa pool at 2 in the morning is something you don’t find just everywhere. Service from the bar is also available poolside during regular hours. You are welcome to bring beverages yourself but they must be in plastic cups. Included with our package was a $50 credit for food and beverage and we chose to apply it to the Christmas Day buffet dinner in Victoria’s Restaurant. The restaurant is located past the lobby and follows the Victorian theme of the hotel. Their food is always delicious, and the buffet was no exception. The restaurant serves breakfast, lunch and dinner seven days a week. On Christmas Day Victoria’s restaurant was voted as the best place for Christmas dinner by the locals in Rehoboth. That is a pretty good testament. If you are looking for a winter getaway to a place where you can just relax, give the Boardwalk Plaza Hotel in Rehoboth Beach a try. You will probably go back when summer comes.